Fruitless Pursuits: Welcome to ROCKTOBER! 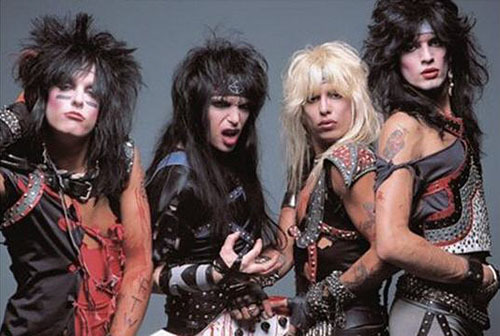 Motley Crue. Total badasses. Real men wear makeup. Previously the domain of cheesy commercial radio stations, and at home amongst the movie ticket giveaways and icy cold cans of Coke, ROCKTOBER is back as a saviour to the masses! So what the hell IS Rocktober? Well....it's October but turned up to 11. We at Fruitless Pursuits love music almost as much as we love ewoks and Batman, so why not dedicate the month with the conveniently adaptable name to our favourite aural treats? Rocktober will be a celebration of all types of music, and we'll be bringing you mixtapes, photos, videos and more as we share with you our diverse tastes. We hope you discover something new and awesome, and we'd love for you to share some of YOUR favourites in the comments sections.